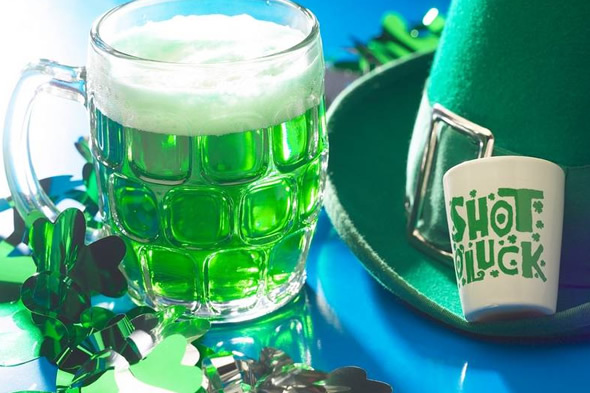 Feeling green with envy over all of the St. Patrick’s Day 2018 Las Vegas events going on? 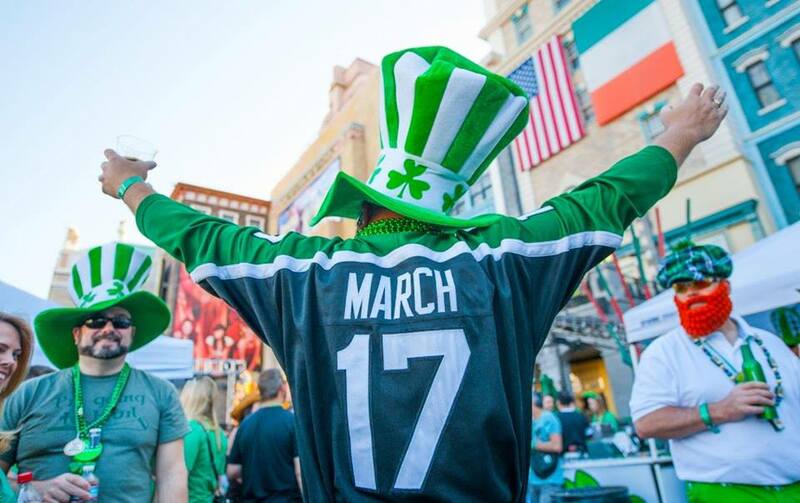 St. Patrick’s Day 2018 Las Vegas. 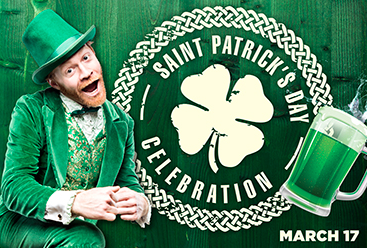 Grab something green to wear and let’s go! 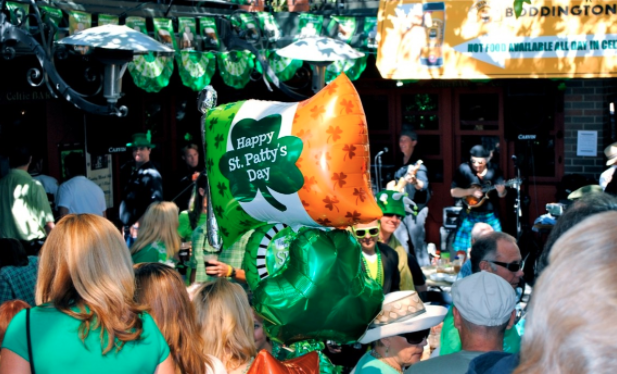 Whether you’re a local or a guest visiting our beautiful city, Las Vegas offers up some great St. Patrick’s Day 2018 Celebrations! 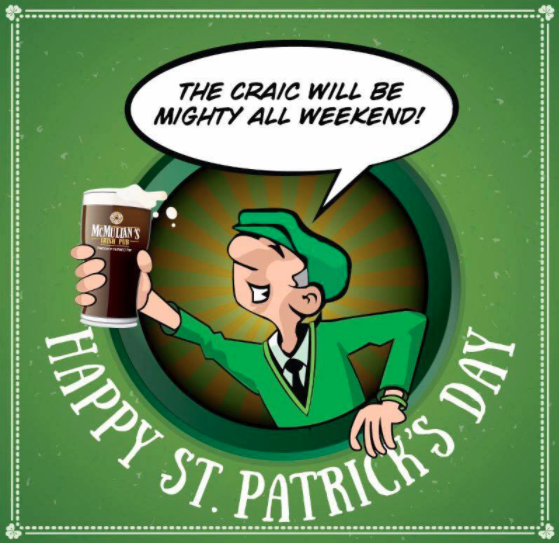 Get out and enjoy your green beer and Irish whiskey but don’t forget to bring your friends to make it an evening to remember. 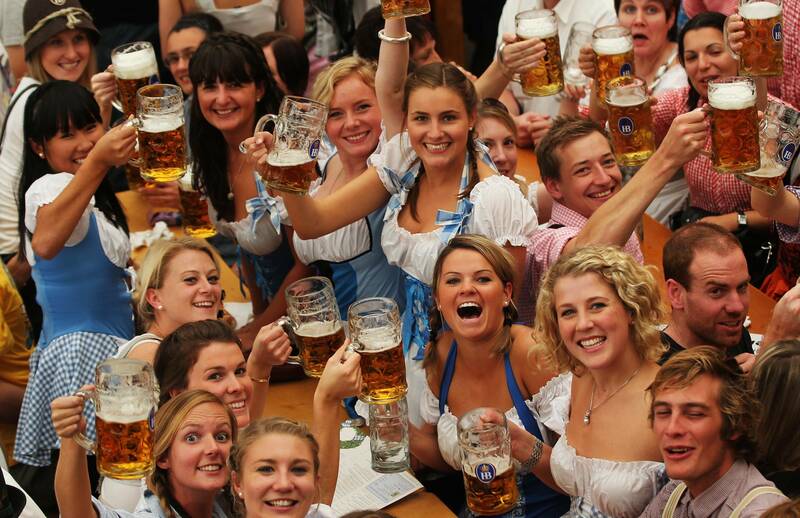 All you have to do is enjoy! 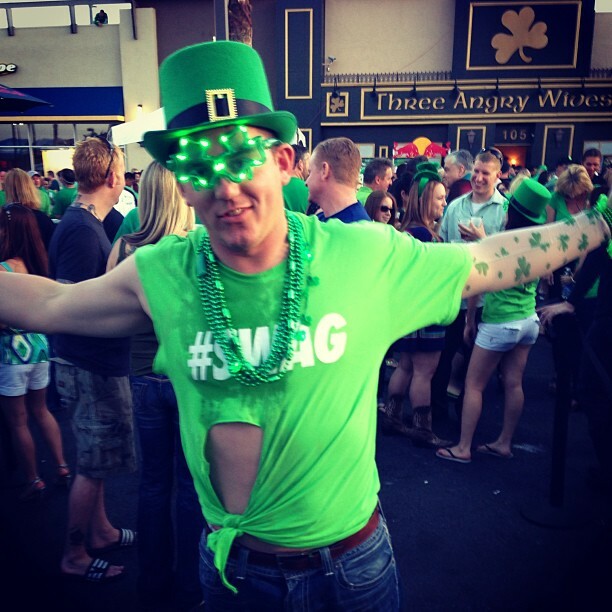 Las Vegas Happy Hour will get you on the road to the best “pot o’ golds” in the Las Vegas Valley! 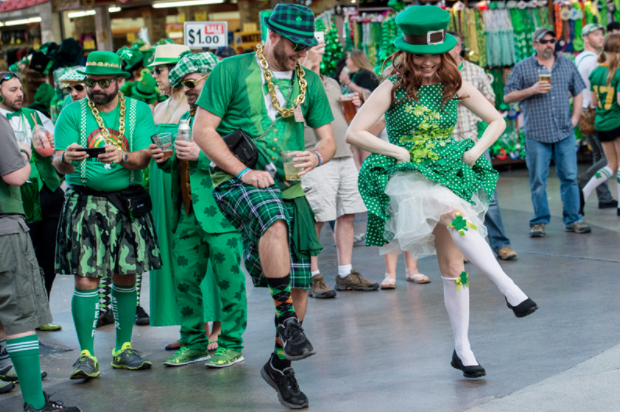 From Strip happenings, Fremont Street events and our famous local bars, Las Vegas is offering up a wide variety of St. Patrick’s Day 2018 fun for one and all! 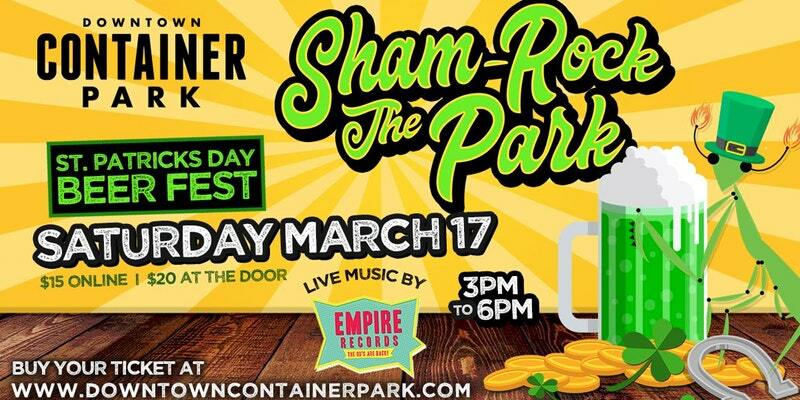 Downtown Container Park is having a Beer Fest on St. Patrick’s Day and it’s an all you can drink craft beer and special green beer on tap for one flat rate, $15 online, $20 at the door from 3 p.m to 6 p.m, but let us not forget Irish Whiskey at $5 shot specials plus live music! 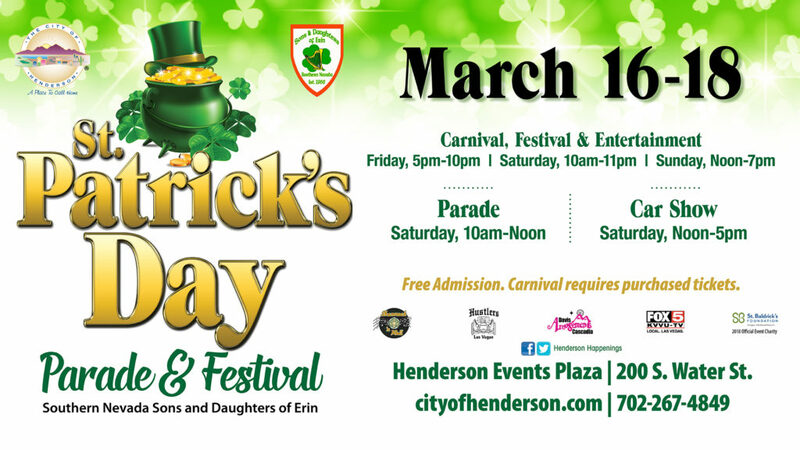 The Fremont Street Experience gets started at 12 p.m. on St. Patrick’s day with live music that will carry you through the night on Main Street Stage, 1st Street Stage and 3rd Street Stage. 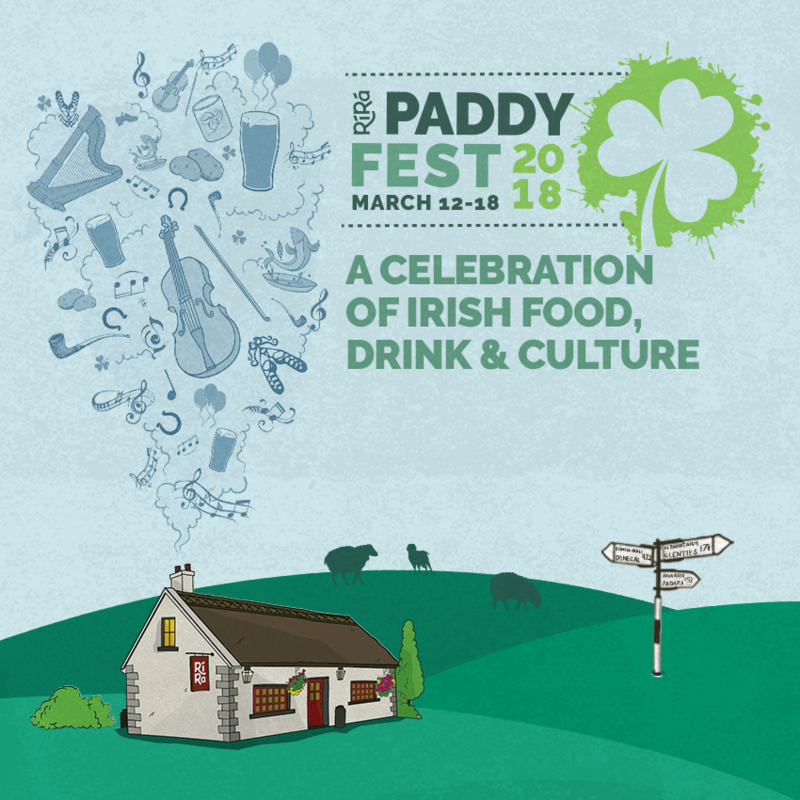 Get your dancing shoes on and come and enjoy a full day and night of music, green beer, bagpipers and of course a leprechaun or two roaming the streets. 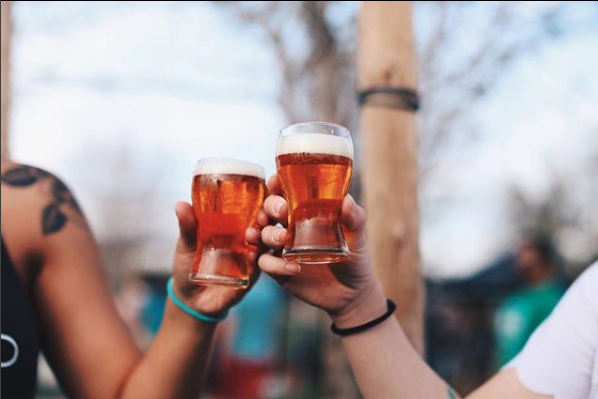 11 a.m. – 3 a.m.
St. Patrick’s Day celebration at The Lawn at Downtown Summerlin is going green for their 11th annual open-air beer festival. 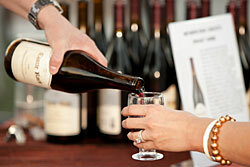 Enjoy samplings from local and national breweries. Live music, activities and games for a wonderful afternoon. 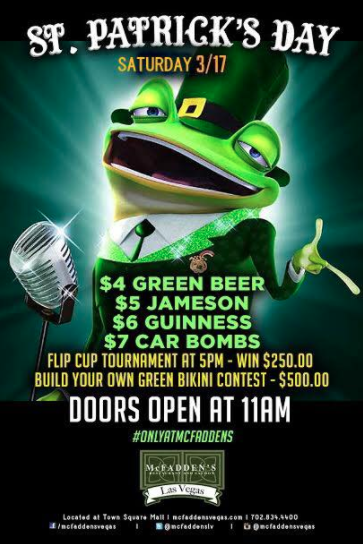 9 a.m. – 4 a.m.
JC’s Irish Sports Pub aka J.C. Wooloughans’s is celebrating for one day only, in the Valencia Ballroom for their annual St. Patrick’s Day Celebration to bring you green with envy for their festivities with traditional corned beef and cabbage, $3 craft brew specials, a beer garden and a free shot of Guinness at 4 p.m. plus music that will make your feet do a little jig! 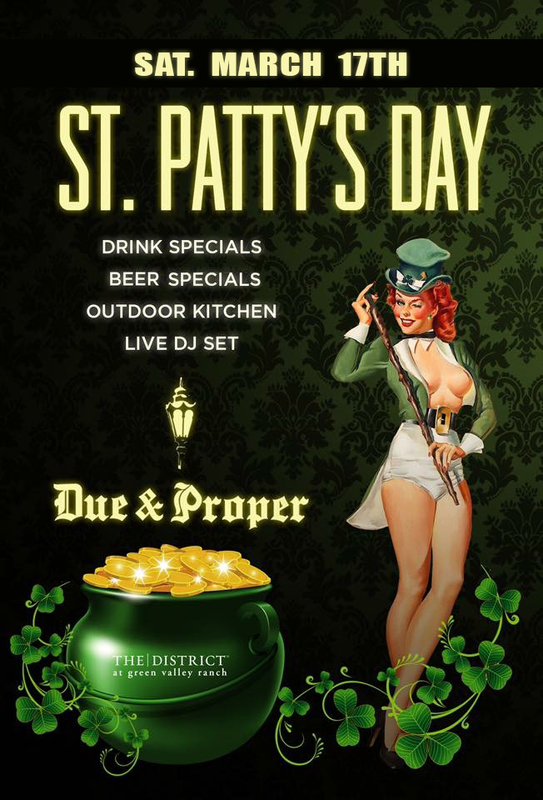 Grab your green and head over for an enjoyable St. Patrick’s Day full of good people, great drink specials and Irish food! 12 p.m. – 12 a,m. 11 a.m. – 4 a.m. 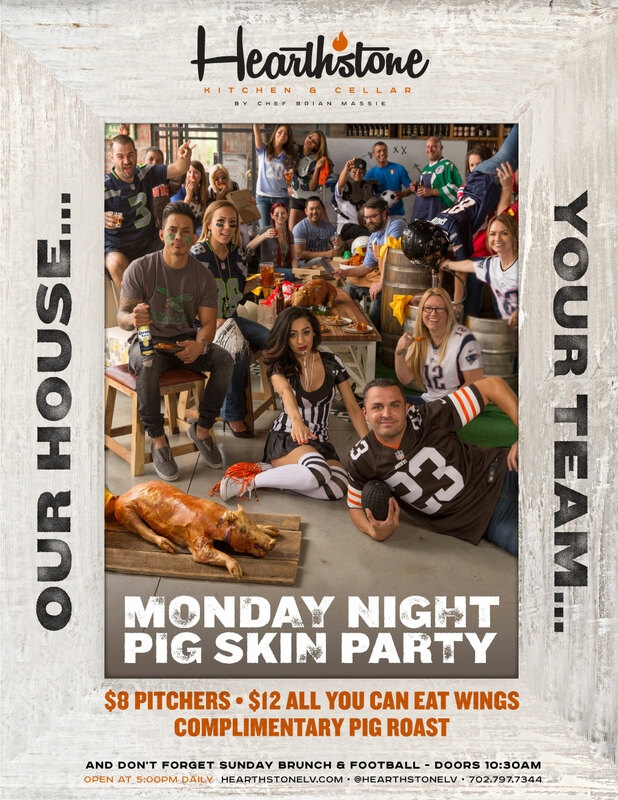 Copyright © 2017 Lasvegas Happy Hour. All rights reserved.